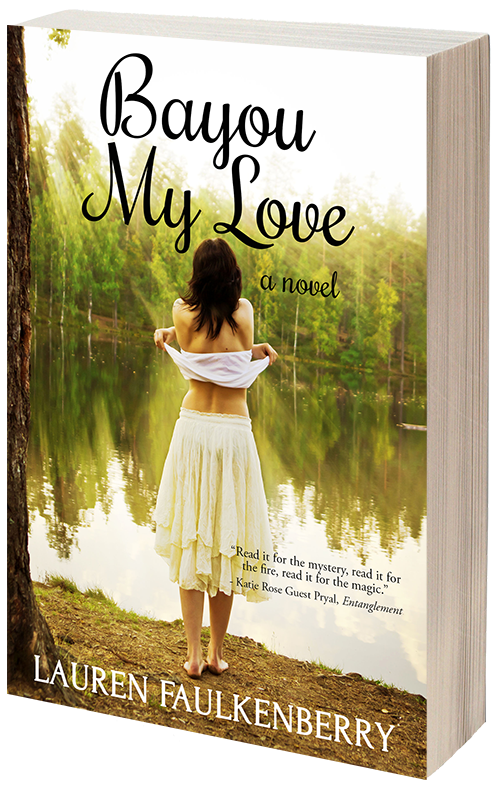 Romance, the bayous of Louisiana, voodoo, family secrets... BAYOU MY LOVE by Lauren Faulkenberry is now available! Thirty-one-year-old Enza Parker is struggling to change the trajectory of her life. To prove to her overbearing father she can flip a house on her own, she takes on a project much too ambitious for her––and it puts her in the path of the most alluring man she’s ever met. Enza plans to flip the house she inherited from her estranged grandmother, Vergie, in Bayou Sabine, Louisiana. As a child, she spent summers there until the day her mother—Vergie’s daughter—inexplicably left. Since then, Enza hasn’t let anyone get close to her. Arriving in Bayou Sabine, Enza finds her house occupied by bedeviling firefighter Jack Mayronne. Enza has no intention of being a landlord, but Jack convinces her to let him stay––in exchange for helping her with repairs. With only six weeks to fix the house and sell, she’s determined to prove her father wrong––but she didn’t count on all the delicious ways Jack could distract her. When Enza’s fling with Jack intensifies, she finds herself entangled with a vengeful arsonist from Jack’s past. As she reaches her breaking point, she must decide: Should she sell the house and leave her past in Bayou Sabine behind for good, or can she overcome her fears and build a new life there with Jack? Buy BAYOU MY LOVE on Amazon! We are a dynamic boutique press focused on publishing books by and for women: Women's Fiction, Romance and Chick Lit are a few of our favorite genres. We are highly selective and accept only exceptional work. Who are our authors? Talented writers with varying degrees of experience; we enjoy discovering new talent and launching their careers just as much as working with established, award-winning names.